If the worst happens all may not be lost because lost or damage data can be recovered with our effective data recovery services. The process is different for every situation and storage device. 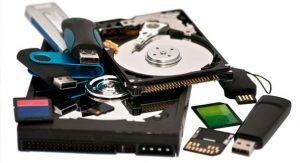 We can recovery your data from most type of storage devices like: failed hard drives, tape drives, memory sticks, removable hard disks, DVDs, digital camera data cards and more. We always recommend you have back ups of your data but we know sometimes things go wrong, so contact us now and find out if we can help you recover your data. Fend off data loss with our Windows data recovery services. Our software comes as a rescuer in times when your precious photos, music, videos, documents, and other files get deleted accidentally or in a frenzy to free up storage. We can resolve your data loss woes by performing secure recovery of lost files with our tools and applications. Contact us should you wish to know more about how we can help.